People often remark about my grey hair. Some of the comments are very funny. A young man working at the 7/11 told me he liked my hair, adding, “yeah, I’m a Raiders’ fan.” (The Oakland Raiders’ team colors are silver and black, for all the non-NFL fans reading this.) Other comments are less amusing, like the colleague who advised me that I “would look much younger” if I dyed my hair. Many women lament the fact that they dye their hair and state that if they had shiny hair like mine, they would let it become grey. What they don’t know is that I would have chosen to leave my hair grey no matter what it looked like. That choice was made the first and only day I colored my hair, wincing each time the hairstylist poked my scalp with a crochet hook to pull strands of hair through small holes in a plastic cap on my head. I chose whatever my hair was going to look like over adding another appointment, an unpleasant one at that, to my schedule. Having brown hair was not enough of an incentive to drive to the hairdresser’s, spend 2-3 hours there, and put up with the discomfort every 4-6 weeks. Each time we do or don’t do something, we are making a choice. If we choose to stay at work and finish our charting, we are saying “yes” to the satisfaction we get when we complete our work, while saying “no” to attending our child’s basketball game. Although we might feel as if we have no choice, we have, in fact, chosen. Is there a way to “have our cake and eat it, too?” Certainly not in the moment (although I tried for years to be in two places at once). But if we look at our values and see that our need to provide excellent care (and thus to complete our charts in a timely manner) is in conflict with our desire to support and be involved in the life of our child, we can creatively plan how we want to respond. We might explain to our child that we will be there, although late, and affirm our love and our interest in his or her life. We can make other plans to spend some special time with our child. We can complete our charts later that night, if that is a possibility. What is important is that we acknowledge that we are, always, making choices. And that we make sure that those choices align with our true values. Many healthcare professionals, having chosen a career of service, are people pleasers. 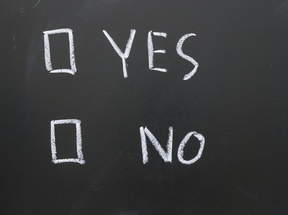 This can make it difficult to say “no,” even when we want to. But knowing what we’re saying “yes” to can make it easier to refuse an offer or a job. A new role, even one that interests you, is easier to decline if you know that you’re saying “yes” to spending more time with your spouse, children, or another important activity. What choices do you want to be making? This entry was posted in mindfulness, physician coach, physician coaching, physician communication, physician work life balance and tagged Physician coaching, Physician fulfillment, Physician work life balance, relationships. Bookmark the permalink.